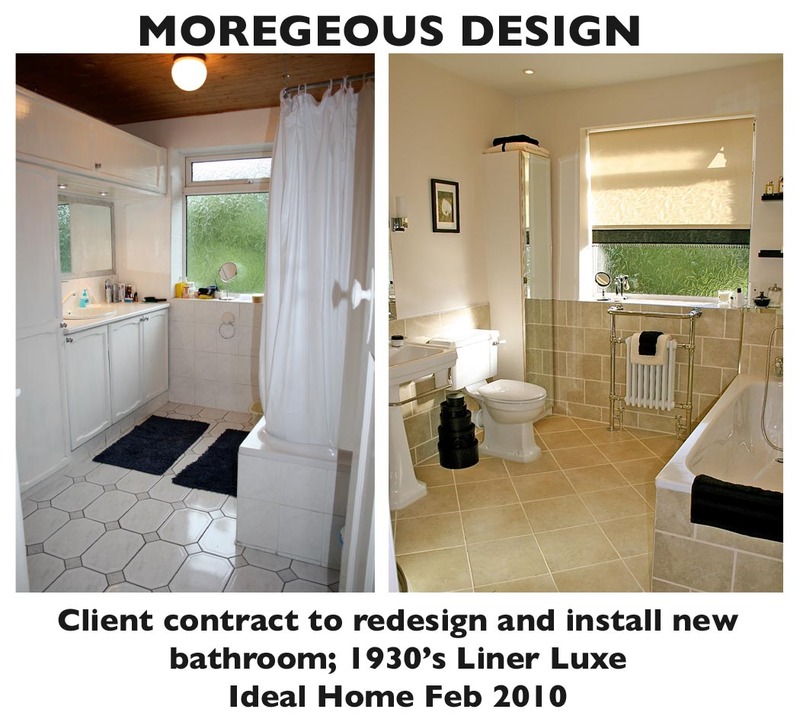 Welcome to the Moregeous Grot 2 Hot section, devoted to transformations completed for clients, TV and our own residential rental properties. 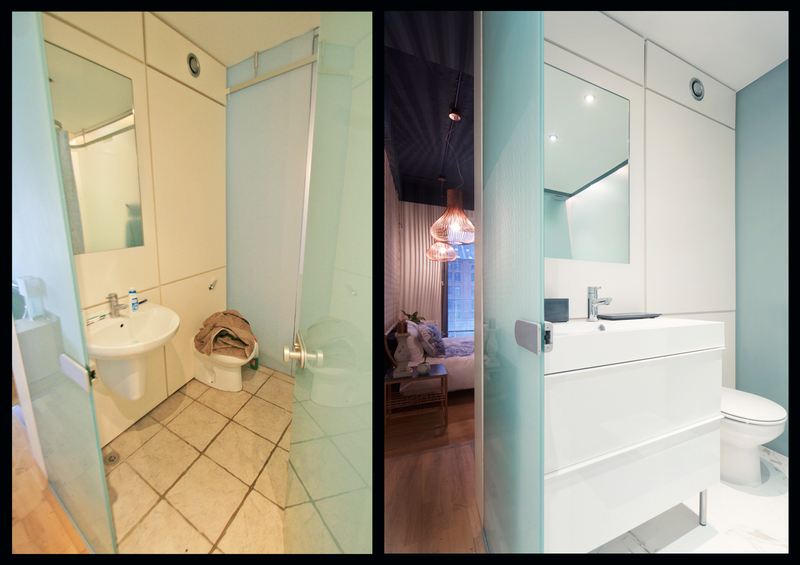 Sian redesigns kitchens, bathrooms, garden and sometimes full houses for clients, TV shows and corporate clients. Most images below are direct comparisons of rooms & angles after work was completed and before so it’s easy to see what can be done with lots of imagination and a *little* bit of hard work. Many client jobs aren’t featured for privacy reasons but these ones are our more ‘public’ work! Ladybarn Community Centre : One of South Manchester’s community centres needed support and design help to transform their tired, dark and shabby kitchen into one with the wow factor to help uplift it’s fortunes. A half term overhaul! Design challenge : Transform one room three ways in one day for a Triton Showers product showcase, using the same suite & tiles. Harvey Maria LVT flooring, Topps Tiles tiles and grout. Redesign, refit and refurbishment of a Manchester restaurant completed in under two weeks. Full rewire, plumbing, new loos, joinery, bar area, lighting & decoration. 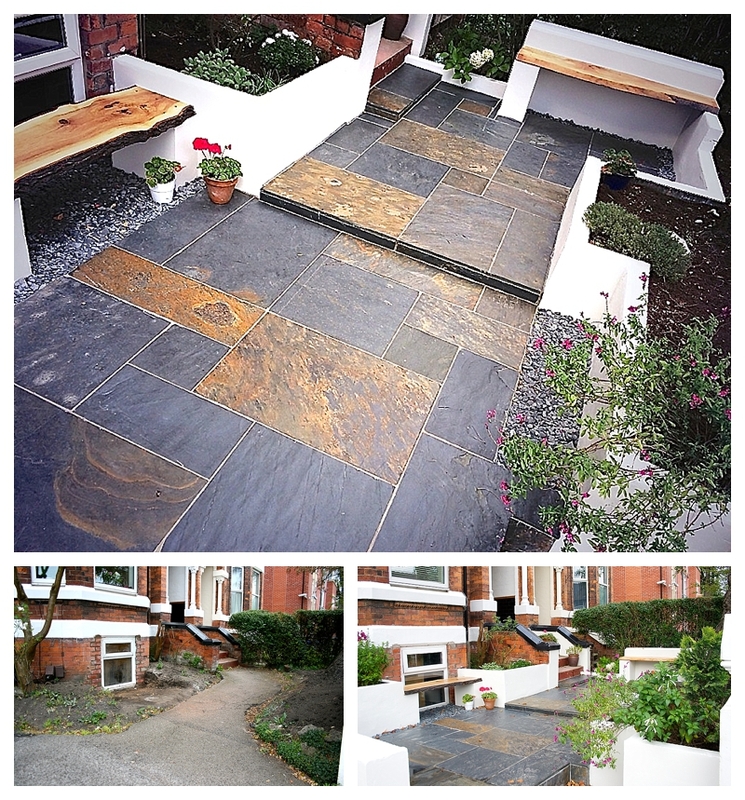 Tired rental garden transformed with low built brick planters, gold & grey slate tiling, slate chippings and natural timber seating. Redesign/ install in Manchester apartment building. Industrial, luxe, glamorous. Farrow & Ball Hague Blue, Andrew Martin wallpaper, vintage & upcycled lighting. Redesign and install from back to brick of kitchen, dining, 2 bathrooms and bedrooms in 14 days for a TV challenge. Bonkers. Renovation and resign of first floor to 1930’s semi for TV show. New bathroom, home office and bedroom. New kitchen, dining area, hallway and treatment room. Design and install client kitchen. Ikea units, granite work surfaces, bespoke blind. Back to brick renovation of three apartments within Victorian terrace. Design and arrange install of new kitchen in residential property. I want some fabulous ideas..What color white do u use for for interior painting? Love the bathroom in the Exeter house! I don´t think I´ ve seen a fireplace in a bathroom before, but it looks amazing! And it makes the space look very classy, almost luxurious. Black paint was a great choice, powerful color. Can you give me an idea of where you buy your wood cladding used in the bathroom of The Pad? Is it easy to do? Yeh, ok Carl. Having a bad day? Lol. Ha, oh if only we could distill that essence, it’d be far easier to nail then wouldn’t it!